Catharsis (from Greek κάθαρσις katharsis meaning "purification" or "cleansing") is the purification and purgation of emotions—especially pity and fear—through art or any extreme change in emotion that results in renewal and restoration. It is a metaphor originally used by Aristotle in the Poetics, comparing the effects of tragedy on the mind of spectator to the effect of a cathartic on the body. Catharsis is a term in dramatic art that describes the effect of tragedy (or comedy and quite possibly other artistic forms) principally on the audience (although some have speculated on characters in the drama as well). Nowhere does Aristotle explain the meaning of "catharsis" as he is using that term in the definition of tragedy in the Poetics (1449b21-28). G.F. Else argues that traditional, widely held interpretations of catharsis as "purification" or "purgation" have no basis in the text of the Poetics, but are derived from the use of catharsis in other Aristotelian and non-Aristotelian contexts. For this reason, a number of diverse interpretations of the meaning of this term have arisen. The term is often discussed along with Aristotle's concept of anagnorisis. D.W. Lucas, in an authoritative edition of the Poetics, comprehensively covers the various nuances inherent in the meaning of the term in an Appendix devoted to "Pity, Fear, and Katharsis". Lucas recognizes the possibility of catharsis bearing some aspect of the meaning of "purification, purgation, and 'intellectual clarification'" although his discussion of these terms is not always, or perhaps often, in the precise form with which other influential scholars have treated them. Lucas himself does not accept any one of these interpretations as his own but adopts a rather different one based on "the Greek doctrine of Humours" which has not received wide subsequent acceptance. Purgation and purification, used in previous centuries, as the common interpretations of catharsis are still in wide use today. More recently, in the twentieth century, the interpretation of catharsis as "intellectual clarification" has arisen as a rival to the older views in describing the effect of catharsis on members of the audience. 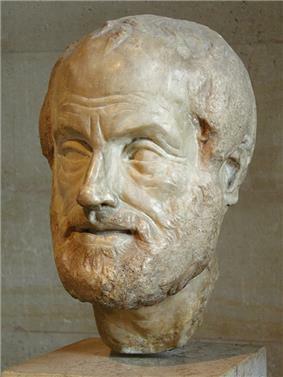 In his works prior to the Poetics, Aristotle had used the term catharsis purely in its medical sense (usually referring to the evacuation of the katamenia—the menstrual fluid or other reproductive material). Here, however, he employs it as a medical metaphor. F. L. Lucas maintains, therefore, that purification and cleansing are not proper translations for catharsis; that it should rather be rendered as purgation. "It is the human soul that is purged of its excessive passions." Gerald F. Else made the following argument against the "purgation" theory: "It presupposes that we come to the tragic drama (unconsciously, if you will) as patients to be cured, relieved, restored to psychic health. But there is not a word to support this in the "Poetics", not a hint that the end of drama is to cure or alleviate pathological states. On the contrary it is evident in every line of the work that Aristotle is presupposing "normal" auditors, normal states of mind and feeling, normal emotional and aesthetic experience." Lessing sidesteps the medical attribution. He translates catharsis as a purification, an experience that brings pity and fear into their proper balance: "In real life," he explained, "men are sometimes too much addicted to pity or fear, sometimes too little; tragedy brings them back to a virtuous and happy mean." Tragedy is then a corrective; through watching tragedy, the audience learns how to feel these emotions at proper levels. In the twentieth century a paradigm shift took place in the interpretation of catharsis with a number of scholars contributing to the argument in support of the intellectual clarification concept. The following works can be usefully consulted in this regard: L. Golden, "Aristotle on Tragic and Comic Mimesis," Atlanta, 1992, S. Halliwell, "Aristotle's Poetics," London, 1986, D. Keesey, "On Some Recent Interpretations of Catharsis, "The Classical World", (1979) 72.4, 193-205. The clarification theory of catharsis would be fully consistent, as other interpretations are not, with Aristotle's argument in chapter 4 of the Poetics (1448b4-17) that the essential pleasure of mimesis is the intellectual pleasure of "learning and inference". It is generally understood that Aristotle's theory of mimesis and catharsis are responses to allopathic process in which pity and fear produce a catharsis of emotions unlike pity and fear, see E. Belfiore, "Tragic Pleasures: Aristotle on Plot and Emotion." Princeton, 1992, 260 ff. "...what fascinates us is the spectacle of a man freely choosing, from the highest motives a series of actions which lead to his own ruin. Oedipus might have left the plague to take its course; but pity for the sufferings of his people compelled him to consult Delphi. When Apollo's word came back, he might still have left the murder of Laius uninvestigated; but piety and justice required him to act. He need not have forced the truth from the reluctant Theban herdsman; but because he cannot rest content with a lie, he must tear away the last veil from the illusion in which he has lived so long. Teiresias, Jocasta, the herdsman, each in turn tries to stop him, but in vain; he must read the last riddle, the riddle of his own life. The immediate cause of Oedipus' ruin is not "fate or "the gods"—no oracle said that he must discover the truth—and still less does it lie in his own weakness; what causes his ruin is his own strength and courage, his loyalty to Thebes, and his loyalty to the truth." (E.R. Dodds, "On Misunderstanding the Oedipus Rex," "Greece and Rome 13 ((1966) p.43." There have been, for political or aesthetic reasons, deliberate attempts made to subvert the effect of catharsis in theatre. For example, Bertolt Brecht viewed catharsis as a pap (pabulum) for the bourgeois theatre audience, and designed dramas which left significant emotions unresolved, intending to force social action upon the audience. Brecht reasoned that the absence of a cathartic resolution would require the audience to take political action in the real world, in order to fill the emotional gap they had experienced vicariously. This technique can be seen as early as his agit-prop play The Measures Taken. Catharsis before the sixth-century rise of tragedy is, for the Western World, essentially a historical footnote to the Aristotelian conception. The practice of purification had not yet appeared in Homer, as later Greek commentators noted: the Aithiopis, an epic set in the Trojan War cycle, narrates the purification of Achilles after his murder of Thersites. Catharsis describes the result of measures taken to cleanse away blood-guilt—"blood is purified through blood" (Burkert 1992:56), a process in the development of Hellenistic culture in which the oracle of Delphi took a prominent role. The classic example—Orestes—belongs to tragedy, but the procedure given by Aeschylus is ancient: the blood of a sacrificed piglet is allowed to wash over the blood-polluted man, and running water washes away the blood. The identical ritual is represented, Burkert informs us (1992:57), on a krater found at Canicattini, wherein it is shown being employed to cure the daughters of Proetus from their madness, caused by some ritual transgression. To the question of whether the ritual obtains atonement for the subject, or just healing, Burkert answers: "To raise the question is to see the irrelevance of this distinction" (1992:57). In psychoanalysis, but he replaced hypnosis with free association. There has been much debate about the use of catharsis in the reduction of anger. Some scholars believe that "blowing off steam" may reduce physiological stress in the short term, but this reduction may act as a reward mechanism, reinforcing the behavior and promoting future outbursts. However, other studies have suggested that using violent media may decrease hostility under periods of stress. Legal scholars have linked "catharsis" to "closure" (an individual's desire for a firm answer to a question and an aversion toward ambiguity) and "satisfaction" which can be applied to affective strategies as diverse as retribution, on one hand, and forgiveness on the other. Interestingly, there's no "one size fits all" definition of "catharsis", and this doesn't allow a clear definition of its use in therapeutic terms. ^ Merriam-Webster's Encyclopedia of Literature"catharsis," , Merriam-Webster, 1995, p. 217. ^ A. Berndtson (1975), p. 235: "The theory of catharsis has a disarming affinity with the expressional theory, since it emphasizes emotion, asserts a change in emotion as a result of aesthetic operations, and concludes on a note of freedom in relation to the emotion". ^ R. Levin (2003), p. 42: "Catharsis in Shakespearean tragedy involves ... some kind of restoration of order and a renewal or enhancement of our positive feelings for the hero". ^ Thomas Scheff PhD Professor Emeritus of Sociology and Anthropology (1979). Catharsis in Healing, Ritual, and Drama. University of California, USA. ^ Golden, Leon. "Catharsis". Transactions and Proceedings of the American Philological Association 93: 51–60. ^ Lucas, DW (1977). Aristotle: Poetics. Oxford University Press, USA. pp. 276–79. ^ Michael P. Nichols; Melvin Zax (8 June 1977). Catharsis in Psychotherapy. John Wiley & Sons Inc, New York. ^ Walter Burkert, 1992. The Orientalizing Revolution: Near Eastern Influence on Greek Culture in the Early Archaic Age, p.56. (Harvard University Press). This sub-section depends largely on Burkert. ^ Burkert notes parallels with a bilingual Akkadian-Sumerian ritual text: "the knowledgeable specialist, the sacrificial piglet, slaughter, contact with blood, and the subsequent cleansing with water" (1992:58). ^ Strickland, Bonnie, ed. (2001). Catharsis. Gale. ^ Bushman, BJ; RF Baumeister; AD Stack (March 1999). "Catharsis, aggression, and persuasive influence: self-fulfilling or self-defeating prophecies?". Journal of Personality and Social Psychology 76 (3): 367–376. ^ Baron, Robert A.; Deborah R. Richardson (2004). "Catharsis: does "getting it out of one's system" really help?". Human Aggression. ^ Denzler, Markus; Jens Förster; Nira Liberman (January 2009). "How goal-fulfillment decreases aggression". Journal of Experimental Social Psychology 45 (1): 90–100. ^ Ferguson, Christopher; Stephanie Rueda (2010). "The Hitman study: Violent video game exposure effects on aggressive behavior, hostile feelings and depression" (PDF). European Psychologist 15 (2): 99–108. ^ Bandes, Susan A. (2009). "Victims, "Closure," and the Sociology Of Emotion". Law and Contemporary Problems. ^ Kanwar, Vik ((2001-2002)). "Capital Punishment as 'Closure': Limits of a Victim-Centered Jurisprudence". New York University Review of Law and Social Change 27. Dictionary of the History of Ideas: "Catharsis"
: "Mysticism"Catholic Encyclopedia and "NeoPlatonism"